Greek Holding company Marfin Investment Group (MIG) announced that it intends to sell its participation in Hellenic Telecommunications Organization (OTE) to the German Telecoms Organization Deutsch Telekom, amounting to a total 98,026,324 shares, or 19.9% of OTE at a price of euro 26 per share, Reporter.gr said today. 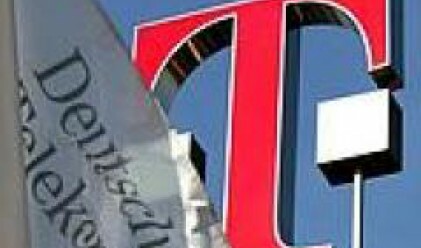 The transaction is expected to be completed the latest until the 7th of May 2008 and is subject to the approval of a relevant petition of Deutsche Telekom by the Interministerial Committee for Privatizations of Greece. The agreement has been approved by the Board of Directors of MIG and the Management Board of Directors of DEUTSCHE TELEKOM but is still subject to the approval of the Supervisory Board of the company. Analysts estimate that MIG's profits are about to reach EUR 217-218 mln and the premiun for the company's shares is seen at 9.7% from MIG's average acquisition price of 23.7 euro per share. It is worth noting that MIG total lending amounts to 1.2bn euro and after the sale of the its stake in OTE, the management of MIG is considering paying off all due loans, this leaving the company's balance sheet with zero obligations. In such a case MIG's own capital will amount to 1.35bn euro, its invested capital at 4.2bn euro, while it has the potential to borrow a further 10bn euro.